It's that time of the year again. | Does my bum look 40 in this? Home black blazer jacket It's that time of the year again. Black jacket time. So super super hard to find. Well, I say that, clearly they're not as they are ten a penny. But when you're looking for The Perfect jacket? Every year I look for one of these. And every year I end up buying one which I wear a lot and continue to wear, year in, year out. But it's not The One. What am I looking for? Fitted. I know - it's not everyone's cup of tea but every year I seem to have that occasion where I need to wear a dress or a skirt, or even a pair of trousers and want a fitted little jacket to act as part of the outfit. Not necessarily as a jacket or a coat, but as part of the outfit. Well I have such an occasion next week. For which I have to wear a summery dress. But it's not going to be summery weather. So a jacket IS required (as well as possibly a coat to wear over the top - hence the need for neat and fitted and part of the outfit as I can't remove it at lunch otherwise I'll freeze. Gah. And wearing something other than a dress isn't an option. Oh how the mind boggles, eh?). First up - definitely one to look at. Although I'm not sure if I want a suity black jacket. This is the sort of blazer I adore over a tee and distressed jeans. Over a dress, it's just a tad wedding perhaps? (and it's not a wedding). Crop Blazer from Mango £49.99 (alas it doesn't come with the belt which you can buy here for £15.99). Or this one - the shape of which is perfect and I like the Vivienne Westwood style corset edge to it but I just wish it was in a slightly less suity fabric, if that makes sense? I am clearly just obsessed with velvet. And now - moving into a slightly different territory - speaking of textured. Love this one. But do I want boxy? I think I want nipped in fitted. Arrggghhhhh. Fabulous Spring jacket though (this is from Zalando - sign up for their website with 10% off. It all adds up... free delivery too). Then of course, there's the military style. Which, as I type, reminds me I have one of these, from Zara two years ago. Now that may be an option... But my only issue is, it's less of a "wear all day as part of your outfit" jacket and more of a coat jacket. Clear as mud? This one I love but I wanted it to do it up (seriously, could I be any more fussy? I am blooming Goldilocks when it comes to these darn jackets). It's the shoulders that are edging it for me. Although I do have broad shoulders anyway, so chances are, I could look like a linebacker in this. And I put this one on last year as well... I'm just drawn to them. Even though my arms would get hyperthermia. Or this one which looks slightly more lightweight. However these are what I've ordered. As in - in bed this evening after a glass of wine and pizza with the best friend, lying in bed with a face pack, a laptop and a credit card. In my head, this is the perfect jacket to go over a full skirted midi length dress and velvet ankle boots... In my head that is. Which is rather (very) risky. This *never* works out. Fact. But I secretly do have high hopes and have ordered it three sizes from an 8 to a 12. I am that desperate. And this one - with the matching trousers. Even though I've only had one glass of wine. Who knows why? It *might* work. And then I lost interest and have looked at the time and need to go to bed. The weekend continues as a single mother. Seriously, I have so so SO much respect for those of you who do this all the time. I salute every singe one of you - you are the ultimate in Wonder Women and how you're not walking around in an alcohol infused fuzz, I have no idea. Legends - every single one of you. I am on my knees. Last night was a late one after a full day of work leaving the house at 7.30am. Superb quiz, having said that, but it was much later than I'd anticipated (my contribution to the proceedings was knowing that Bob The Builder's cat was called Pilchard. I didn't even have to think about it. Pretty much sums up my life. Bob the Builder's pigging cat). Up to take one son to a football match at 8.30, back to take daughter's friend to the station after sleepover, quick trip to supermarket (AGAIN - seriously will you all STOP EATING) etc etc including two tutors and two playdates etc until Mass at 6pm (yes I am polishing my halo) and pizza and wine back at mine. Tomorrow is rugby. Sod. That. The 12yr old then has a birthday party in the afternoon (weeps) and I've said I'll pick the husband up from the airport in the evening. I think that a lie in is definitely definitely on the cards. Plus it's supposed to rain. I think I've answered my own question there, haven't I? I'm not a black jacket girl (I own one, which I will keep as it's gorgeous, cropped, peplum, statement sleeves, slight metallic thread, about 10yrs old). But the glory of your post today is that these jackets don't just come in black! I like the look of the first mango one. OMG that jacket sounds perfect - please please fling it my way!!!! Have been hunting for the perfect fitted, cropped jacket to go over a dress I bought for a wedding in April , for weeks now. The dress has a fitted bodice and a full, fairly stiff skirt ( a la Audrey Hepburn I like to think in my optimistic moments �� ) . It's short in the body though and any jacket too long ends up looking like I'm wearing a bustle !! I tried the M&S Tuxedo one which is very flimsy material and not fitted at all. Just ordered the Vera Moda one - thank you - and have high hopes. Just in case though, I might still pop into town and investigate the Mango options though ! The velvet one? YES and I have exactly the same problem. I have ventured into the likes of certain "much more weddingy shops for allegedly my age group but not really hitting the mark" sort of shops and concessions. But they're too... bolero-esque. Too.... "matchy wedding 70yr old chic and I''m only 44" if that makes sense?!! RIght with you on that... and I know EXACTLY what you mean about homely. 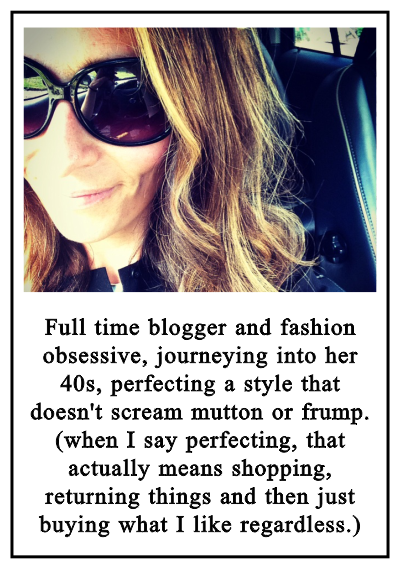 The entire, exact reason for me starting the blog 5 years ago and why I continue to work with brands to eschew the myth that at a certain age, this is the sort of look we should be sporting. If it's up your street then happy days but for the rest of us? There has to be other options! I didn't realise you went out to work. You still find time to blog - kudos! Is your work fashion related? Entirely fashion related! The blog is part of it but I mostly write for other people and work with other brands on their publications etc etc! Well, may I say that you're doing a great job? 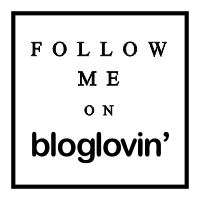 I began a blog myself ( diviningstyle) 2 years ago but quickly realised that others did it better, particularly you. It's great to see clothes which excite me, curated so humorously , and which don't consign me to the background. At nearly 55 I reckon my taste in clothes is more 'adventurous ' and experimental than my 15 year old's ! You are a big part of that , so thank you. That is one of the loveliest comments I have ever had, thank you so so so much. It does mean a lot!